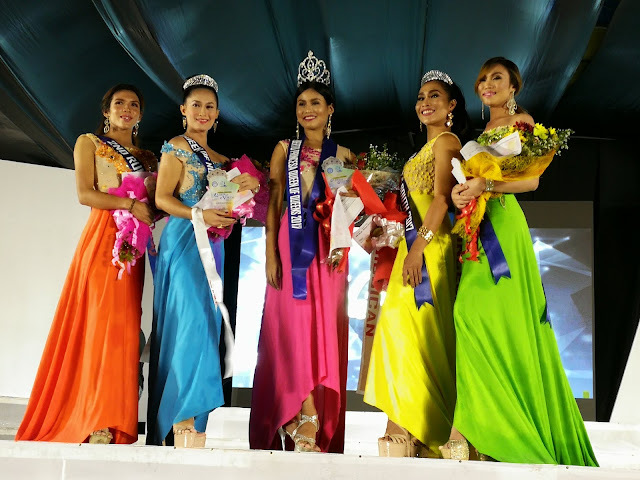 Evo & Grace: The WanderLusts: Tagumpay Transwoman crowned as Queen of Queens in Puerto Princesa. 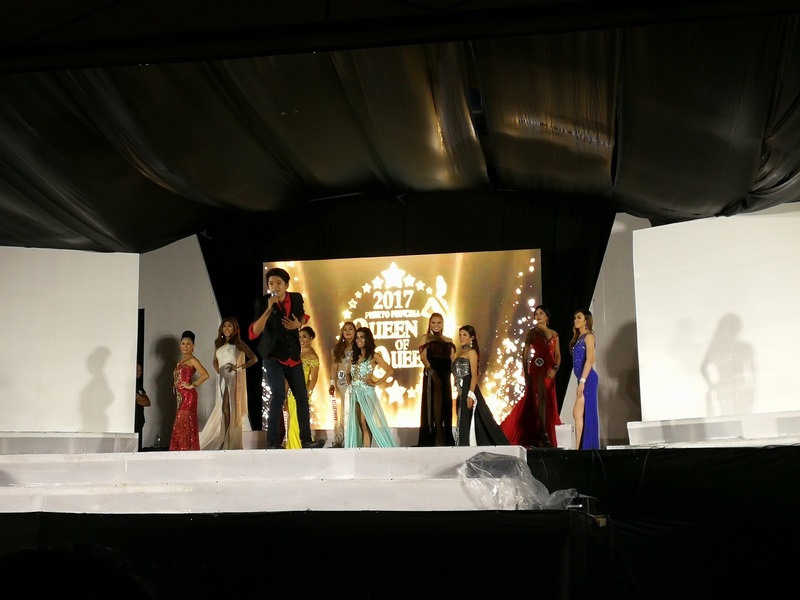 Tagumpay Transwoman crowned as Queen of Queens in Puerto Princesa. Amidst heavy rains brought by Typhoon Urduja, the annual search for the most confidently loving gay/transwomen of Puerto Princesa still push last December 20 at Baywalk stage, out of 20 candidates the HIV advocate from Brgy. 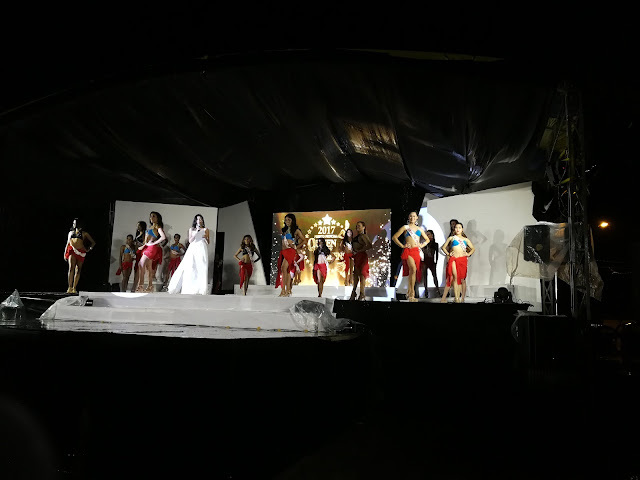 Tagumpay take home this year’s crown, Floriza Bracamontes is an early bet in this most awaited pageant for gay in the City, she also take home best in Swimsuit and long gown award. Bracamontes is a free-lance make-up artist, a bread winner in the family who sacrificed so much in order for her siblings to stay in school. She is so proud and happy living with her “the one” as she call it her forever. Crowd’s favorite Candidate #14 Anton Beyqueen Sanchez of Brgy. 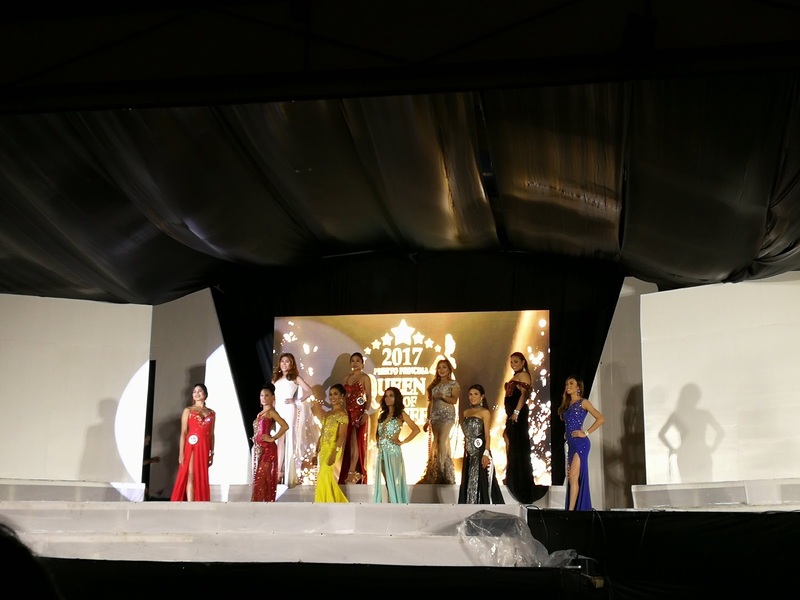 San Pedro, a BPO Manager land as Puerto Princesa Queen of Queens of the North, while pageant veteran Ma. Ryza Lucero of Sicisican grabbed Queen of the South title. Future professional model representing Brgy. Princesa Baba Igual is the first runner up and aspiring Cabin crew from Brgy. Model Kylie Hale is this year’s second runner up. Pilipinas Shell Foundation, Inc Program Manager Marvi Trudeau is the chairman of jurors that include JAMP Media owner and international Luxury Brand Photographer Joe Chua Agdeppa, Candili Foundation head Barry Sumpio, Chez Rose owner Rose Dantes, Bong Villanueva Salon representative Crystala Espina, Paboreal Hotel owner Enrico Coco, Q and A specialist Val Mangalino and many others. Emman Ustares during serenade portion. Upcoming young singer Emman Ustares serenade the finalist while waiting for the official result. Palawan’s most sought after events host Michaela Saludsod is the master of ceremonies. The almost 4 hour pageant merely focus on advocating the pressing issue of HIV and AIDS spread in the City. Councilor Roy Ventura and City Information Officer Richard Ligad deliver their speech respectively in support of the activity and for the LGBTQ community of Puerto Princesa. Local Gay Icons. Jojie Locsin and Jimmy Puno. Puerto Princesa Queen of Queens 2017 is part of the month long fiesta celebration of the City with auspices from the City Government thru Mayor Lucilo Bayron, it is now on its 5th year under Joey Ganda Productions. Local Gay veterans icon Jojie Locsin and Jimmy Puno were given award in honor of their contributions to the LGBTQ community. Also present in relinquishing the crown to their successors are PPQQ South- Bubbles Mercado, PPQQ North-Gengie Bautista, and PPQQ 2016 Joms De Leon. Here is the complete set of winners. Miss Congeniality- Ma. Ryza Lucero, Sicsican. HIV/AIDS Ambassador – Bianca Montecilla, Inagawan Sub. Puerto Princesa Queen of Queens- Floriza Bracamontes. At last somewhere, I can find the summery of this event. I love it because it truly is uplifting for the trans people. Congratulation to all the winner.